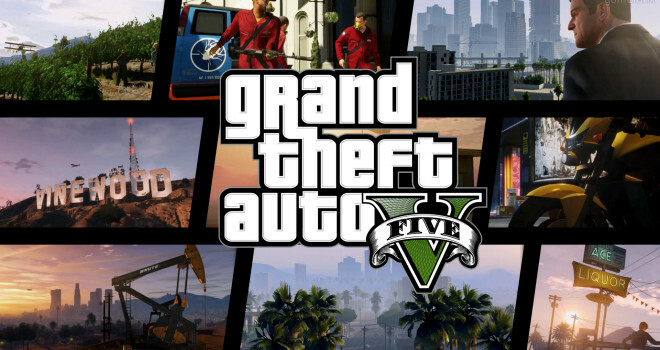 Gta 5 is by far the best in the series, and the biggest open world game ever created by Rockstar. The city of Los Santos is back with more things to do and better than GTA San Andreas. You play as three unique characters: Micheal,Trevor,and Franklin; each of them have their own specific missions. Franklin is a Repo man, very good with cars especially when driving.Micheal is a successful retired bank robber,he is also very good with weapons. Lastly, you have Trevor, the less said about him the better. He is a sick psychopath and a long time friend of Micheal. There is a Google earth feature that allows you to zoom out of each character at anytime. What is so amazing about that is you can do it while you are in certain missions are at anytime when free roaming.The game is so life-like that at times when you switch characters their moving on in their daily lives. Whenever you want to switch just hold down the d pad and use the left analog stick to choose from any of the three characters. The first mission is a bank robbery that happen nine years ago, very well done by Rockstar Games. It feels like your watching an action movie. The new and improve targeting system is so easy to lock on and shoot. Covering system is also great feels like your actually on the wall. You can also blind fire if needed when you are shooting. There are plenty of fun activities to do in Los Santos. Base Jumping, Hunting, tennis, Golf, Shooting Range,Scuba diving, cycling, Jet skiing and so much more. All of these activities help boost your character stats.Underwater is amazing, so much marine life, and things to explore. For the first time in the GTA series, you can do missions and explore while scuba diving. The game has never been this fun! The cell phone is back and better then ever, you can take picture’s and upload it to Rockstar’s website. There is an app in the game called ifruit; you can use it to customize your vehicle and train your dog companion. The dog’s name is chop he will assist you in some activities. The dog becomes Franklin’s partner in the game, you can also feed and pet him . Like they always say a dog is a man best friend. Gta 5 looks and runs very well from the characters to the beaches; mountains, buildings,cars,trees and marine- life. Everything looks realistic and life-like. Thanks to the awesome photo realistic technology,and the modified version of the rage and Euphoria engine. GTA 5 is the best looking game in the series hands down. The game has some great sound effects. Every weapon, car, plane, water, voice over and even the animals sound and act real. Also, the radio has a very good selection of music when driving. GTA 5 is the best open world experience ever, better and bigger than all the other GTA’s combined with so much to do and see. This is a must buy if you are into sandbox games. There are a few glitches in the game but nothing major. GTA 5 was an amazing playthrough thanks to Rockstar for the review copy. Online is coming soon i cant wait for that.